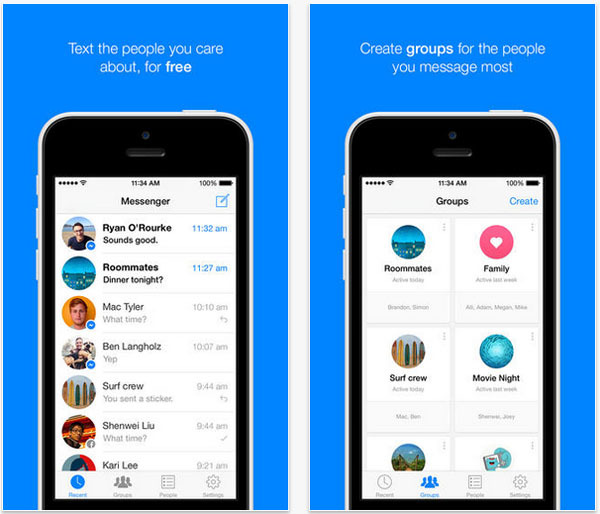 Facebook has updated its Messenger app for iOS today by adding in a Groups feature. Yep, you can add more than one person to a conversation already, but this will allow you to Group people together and spam them with emojis to your heart’s content (check out the screenshot above for how this would look). There’s also a new forwarding feature, which will allow you to send a conversation or photo that you’re having with one person to another. This could be really handy when it comes to sharing images, but seems the complete opposite to Snapchat’s appealing disposable content and it might just be us, but it comes across as a little sneaky and Mean Girls-esque, like “OMG look at what she said!! !1”.